The question at the heart of Epiphanies is: What does it mean to be human when the definition of human is in flux? 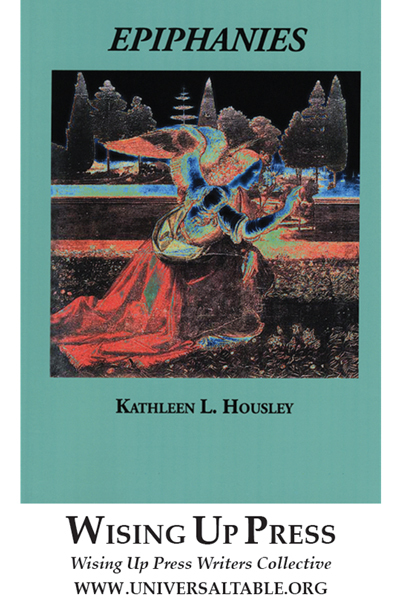 For example, in Pavane for a Dead Rover, Housley explores whether it is possible to grieve for a robot. In Psalm for a New Human Species, she asks what such a discovery would mean to a person’s sense of self-worth. She, then, turns to Leonardo da Vinci who lived a life of epiphany. If things were right side up, he turned them upside down, intentionally disorienting himself to gain understanding.